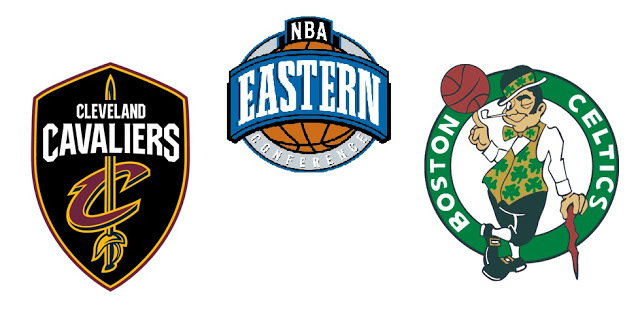 NBA – The Boston Celtics will host the defending 3 – time Eastern Conference Champion Cleveland Cavaliers in Game 7 of the Eastern Conference Finals at TD Garden in Boston, Massachusetts this coming Monday May 28 at 8:30 am (PH Time). The Cavaliers stay alive after winning Game 6 at their home court Quickens Loans Arena in Cleveland, Ohio. The series is now tied at 3 – 3 apiece where both teams successfully won their assignment at their home. The Boston Celtics won Game 1, 2 and 5 at home and if the trend continue they are more likely to win Game 7 which they are remain unbeaten at home this 2018 NBA Playoffs. While the Cavaliers won Games 3, 4 and 6 and now one win away or returning back to the NBA Finals for the 4th straight season while LeBron James is eyeing his 8th consecutive NBA Finals appearance. Now that the series exceeded to “Game 7” the best two words in basketball, where all hard works, the sacrifices and drama comes into one last game before the winner advance to the ultimate series the NBA Finals while the looser take the early vacation. According to some basketball expert and analyst there bet for Game 7 is to the Cleveland Cavaliers to win the series why? Because Cavs had LeBron James “The best player in the planet” and when he is backs off the wall and facing elimination it’s very hard to defeat LeBron who is taking his talent into much greater performance, especially facing a very young Celtics who are missing their two All- Star player due to injury. The Celtics has already exceeded their expectations this season if they somehow dethrone the Cavaliers they are now the new beast in the East and for the Cavaliers advancing to the Finals means another record loss in the Finals for LeBron James where many critics already predicted that LeBron and the Cavs has no chance of defeating either the defending Champion Golden State Warriors or the top seeded team in the regular season the Houston Rockets in the NBA Finals? For me, If LeBron and the Cavs able to pass the Celtics and reach the NBA Finals I rather see his chance of trying to win an NBA Title again, despite his team are no match to the Rockets or the Warriors? At least he tried rather than losing in the Eastern Conference Finals? Or maybe it will be Boston in the Finals? Saving LeBron James in another NBA Finals defeat? Let’s just wait and see comes Game 7 and whose team will advance to the NBA Finals? No Comment to " Game 7! Cavs vs Celtics “Win or Go Home” "